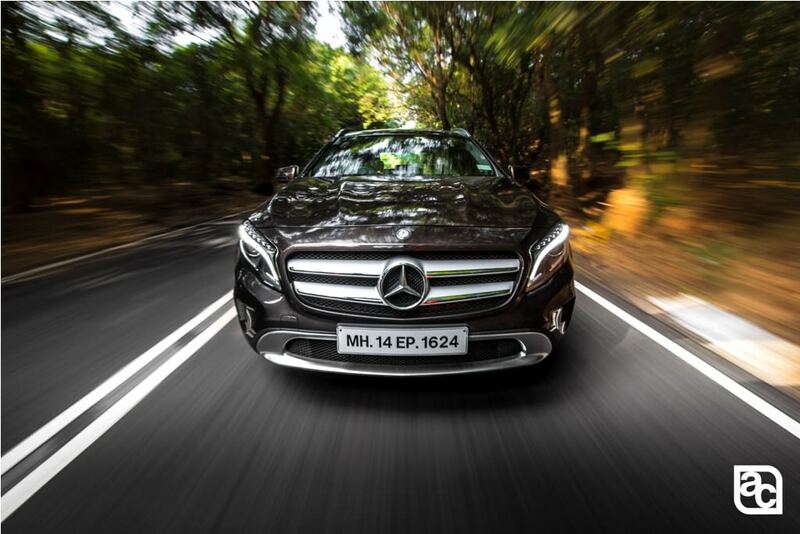 “Year of Offensive” that’s what Mercedes-Benz named 2013 in its strategy to gain back its position in the luxury car market. 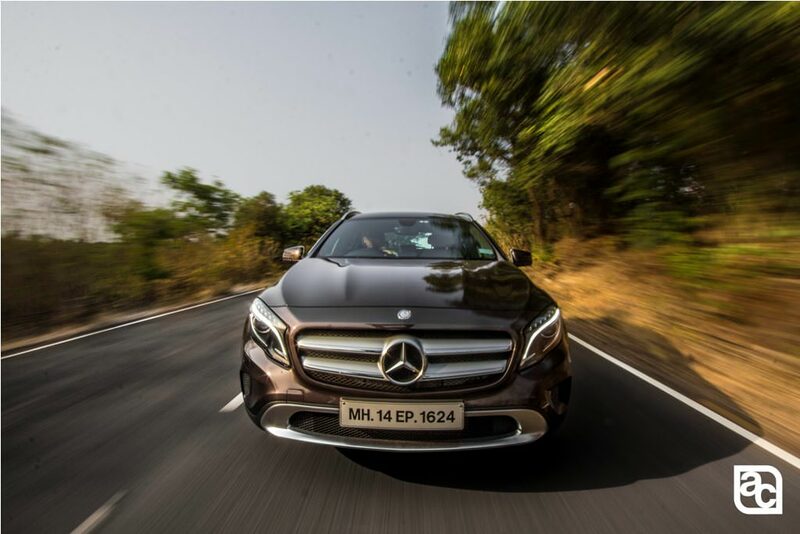 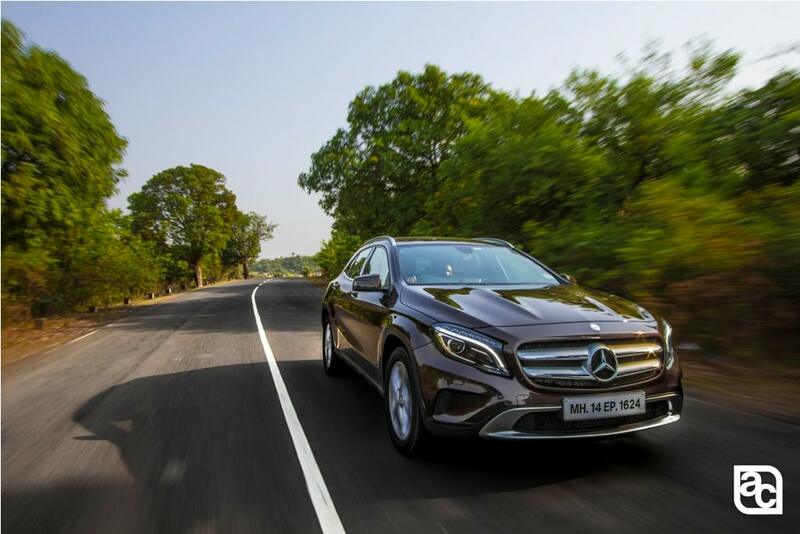 Mercedes-Benz India strongly gained its position at the end of year 2014 and 2014 was named as ‘Year of Excellence’. 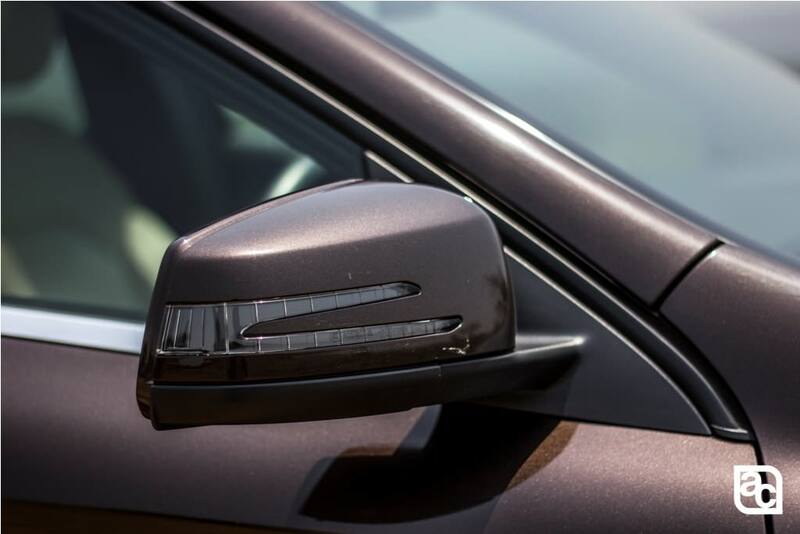 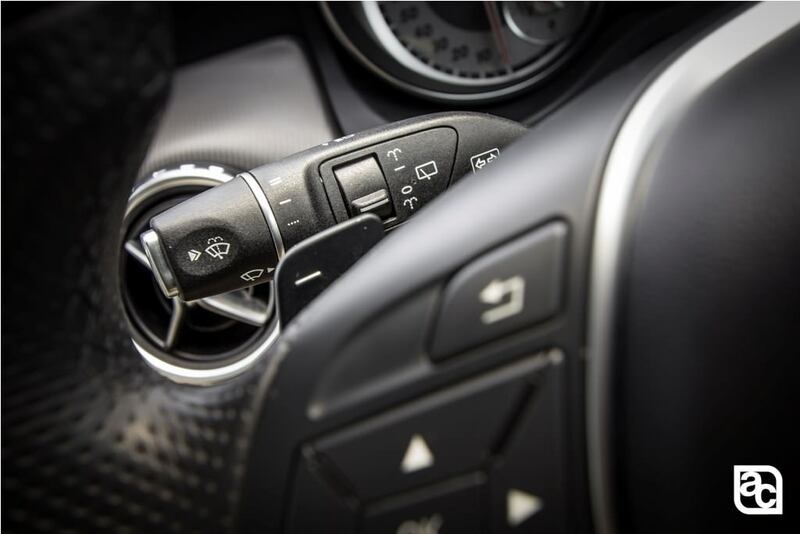 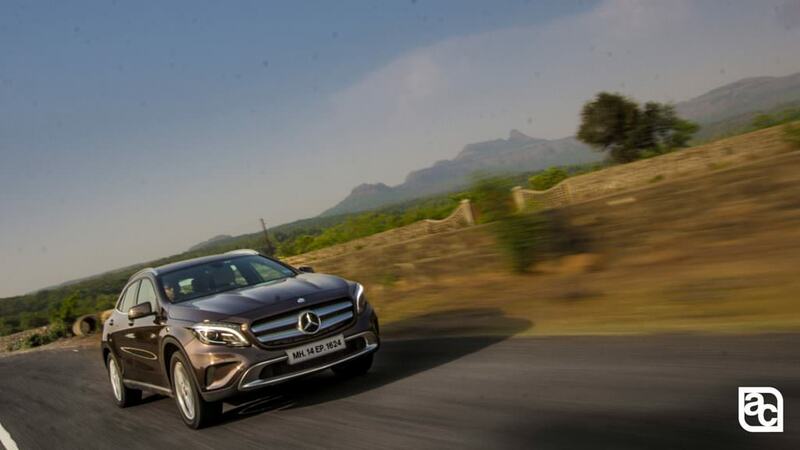 With this strategy the company decided to launch global products in India soon after its debut in global markets, A-Class, B-Class was part of the same strategy. 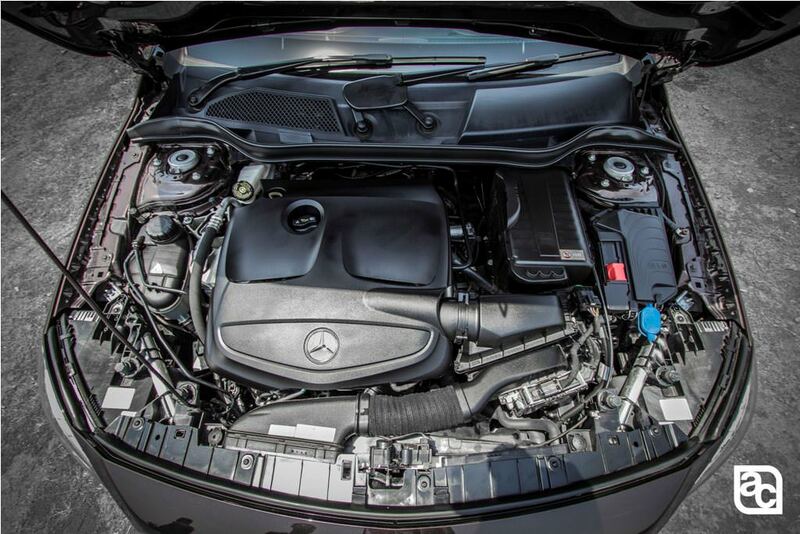 In 2014 Frankfurt motor show Mercedes-Benz showcased a product to the world based on A-Class platform, but with steroids pumped into it with much of muscular styling and aggressive A-Class looks. 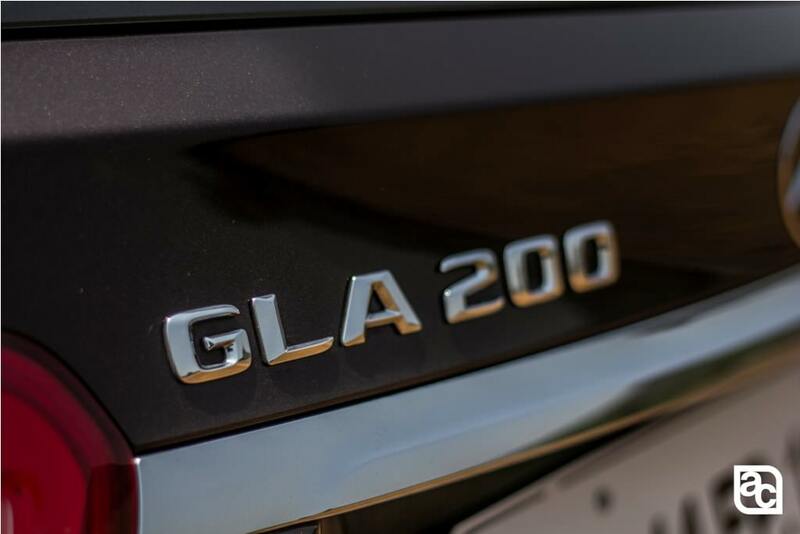 Yes, its GLA Class. 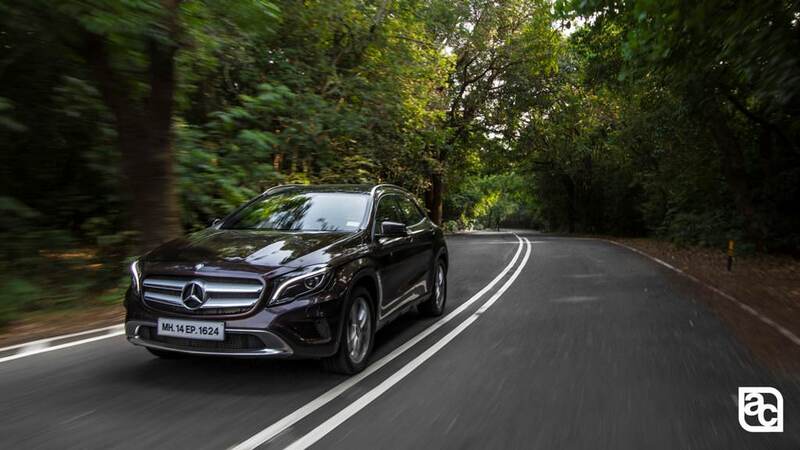 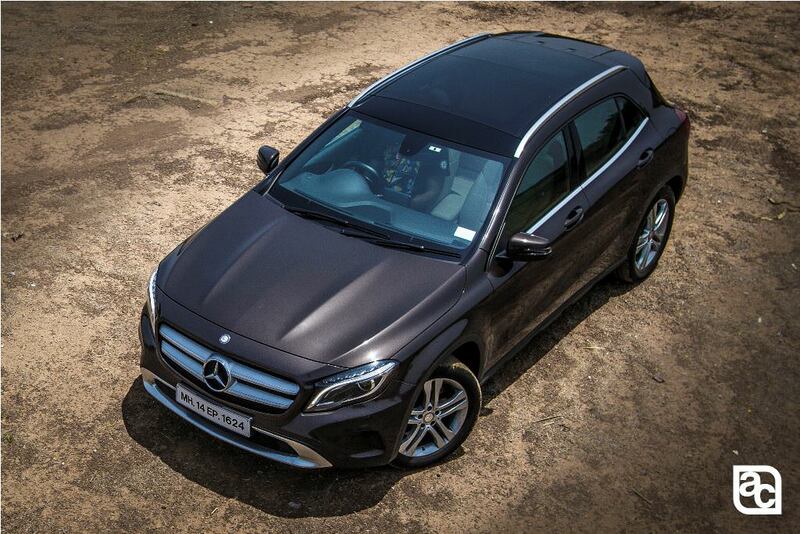 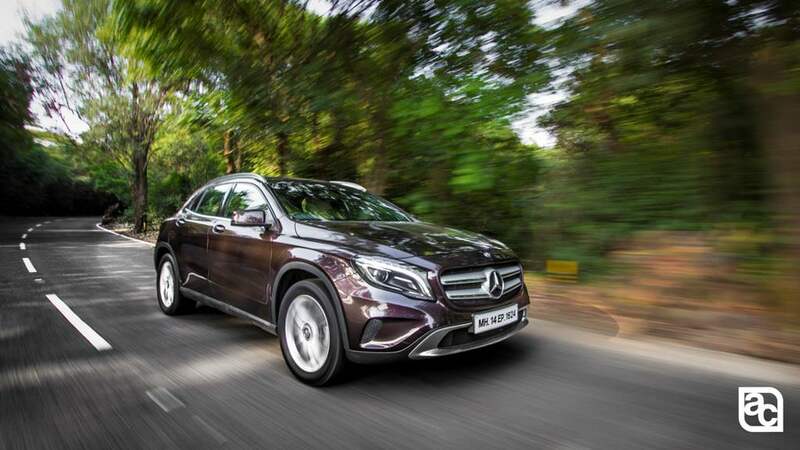 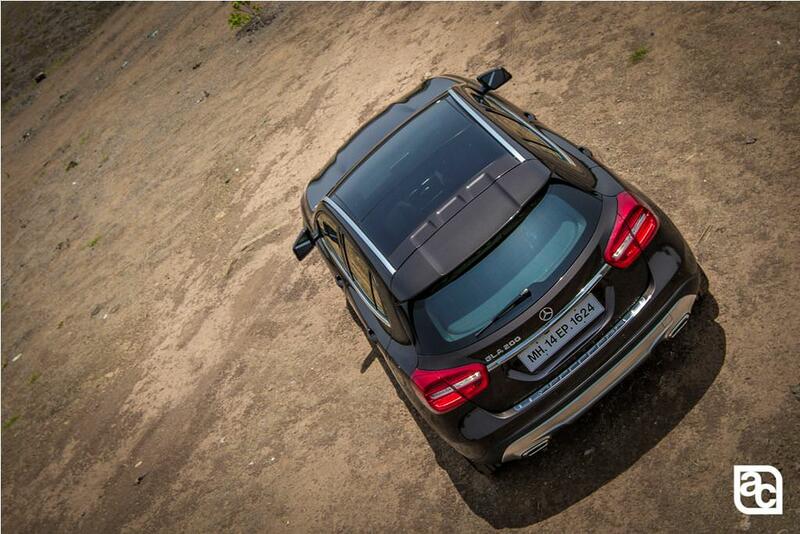 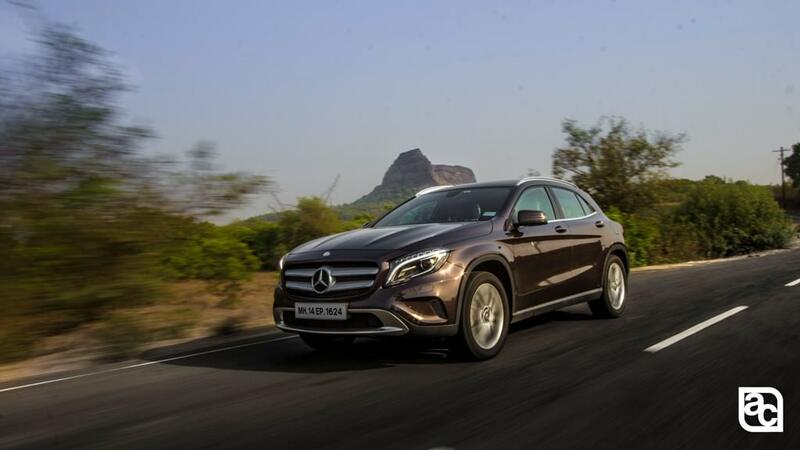 Mercedes-Benz India introduced GLA class in India in only one engine option, petrol powered. 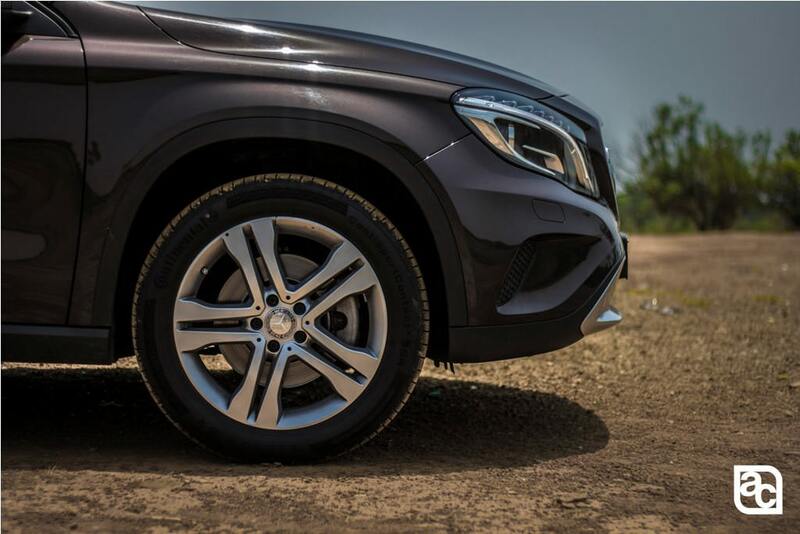 Based on A-Class platform the GLA class is a head turner to everyone, not only because its looks but also its road presence. 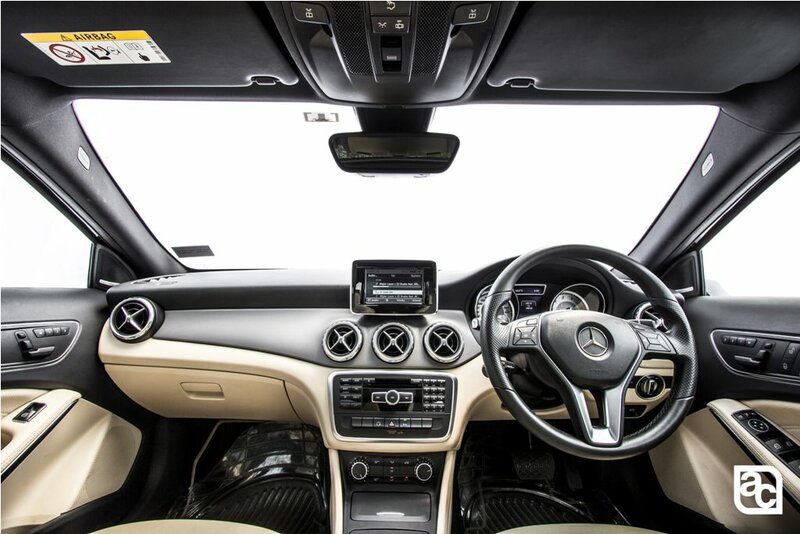 As we say the car is based on A-Class platform, it also shares the wheelbase with A-Class and MFA platform remains same. 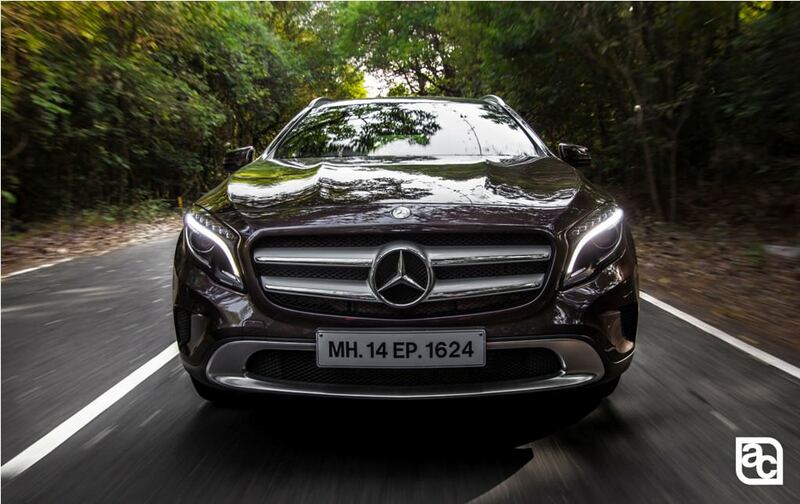 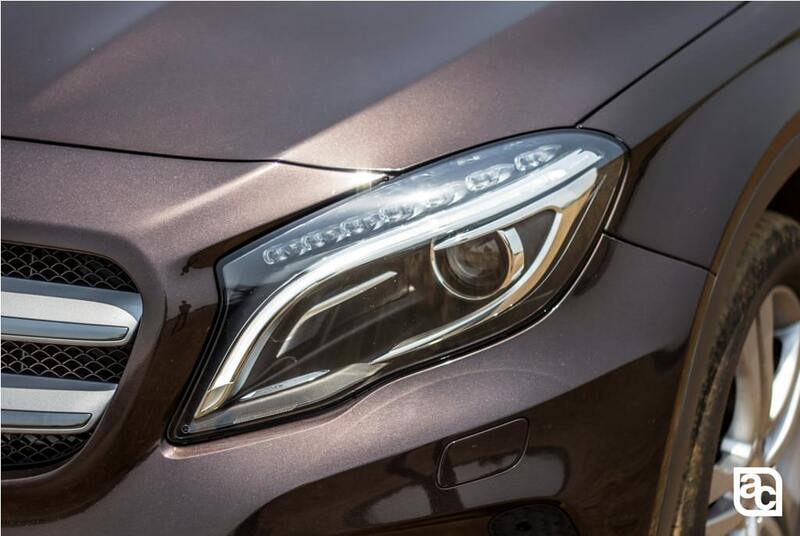 The GLA Class strikingly looks similar to A-Class in terms of headlamps, but the grille here is not honeycombed like A-Class.The GLA Class gets twin slated fins around the Tristar logo and brushed aluminium finished air dam on the front lower bumper. 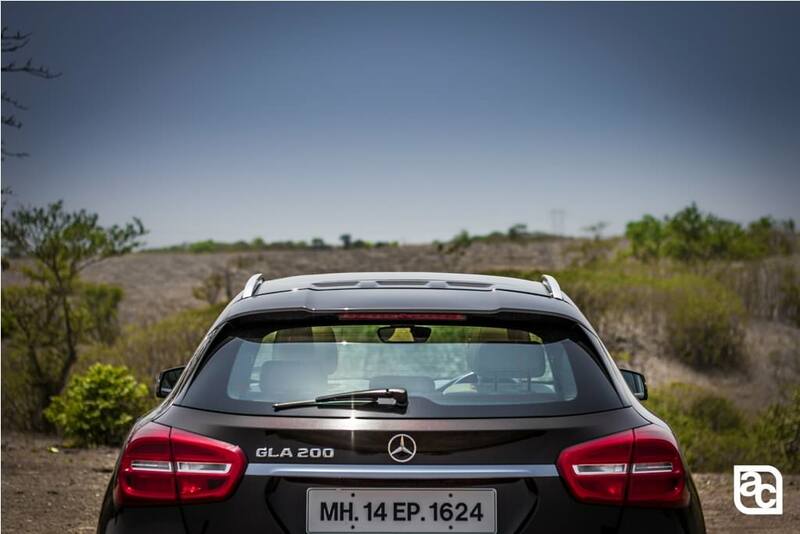 The aluminium finished airdam makes GLA class look really different from A-Class and that’s where the car starts differing from A-Class. 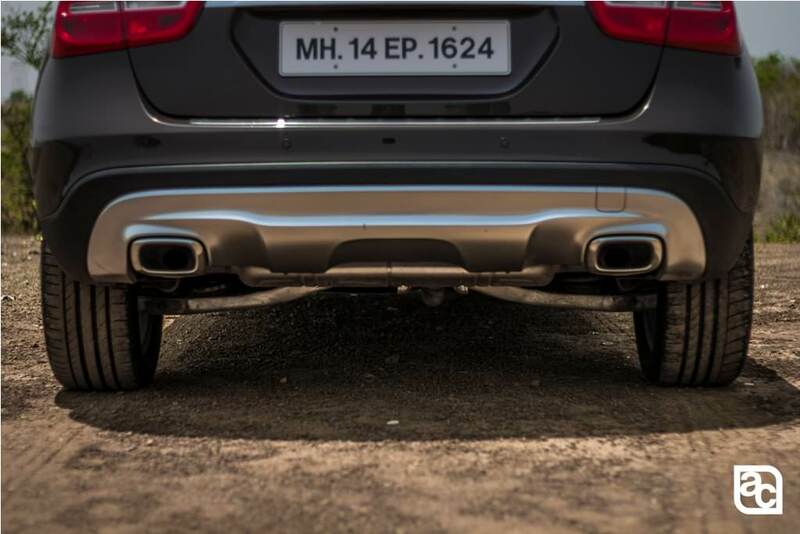 The side profile is high and tiny black cladding around the lower body gives the enhanced feel of high ground clearance of 183mm with 18 inch alloy wheels. 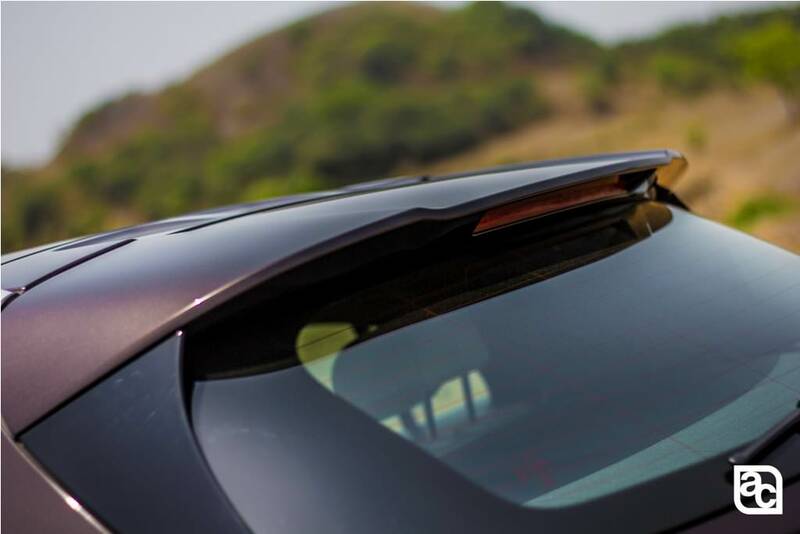 The character line and sloping roofline look very similar to its siblings. 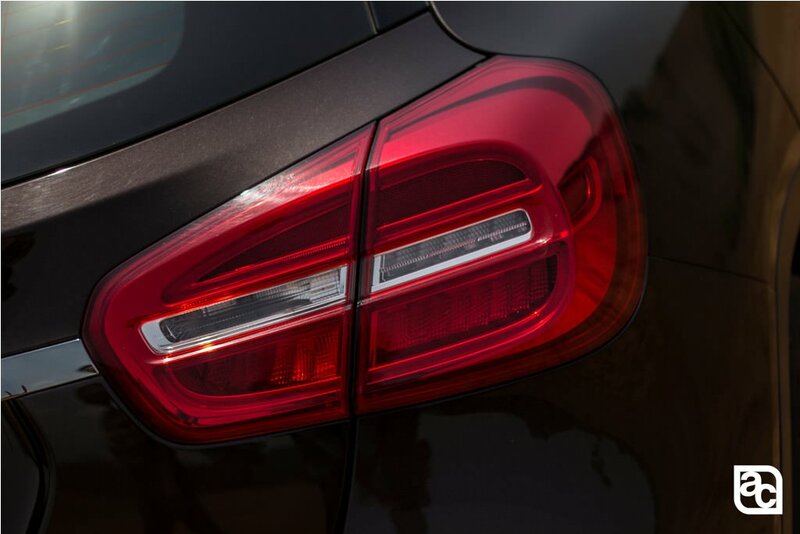 At the rear end tail lamp looks identical to A-Class. 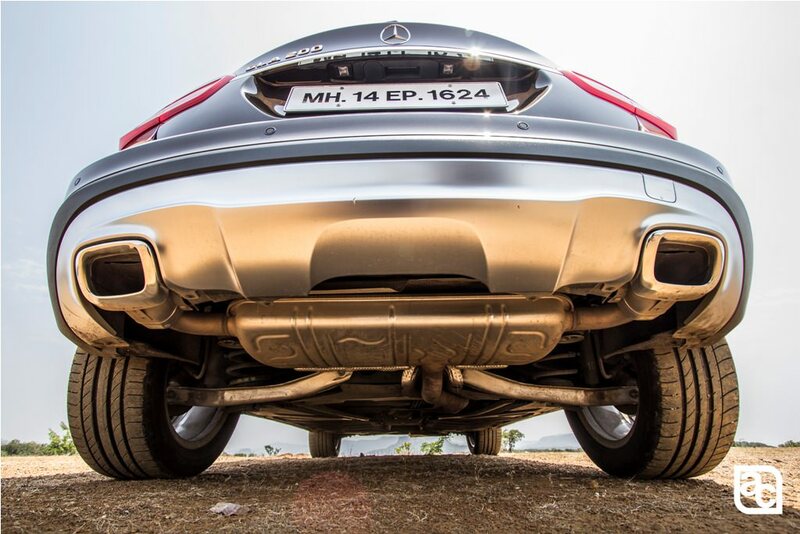 The rear bumper gets inserts of again brushed aluminium inserts that give feel of high ground clearance. 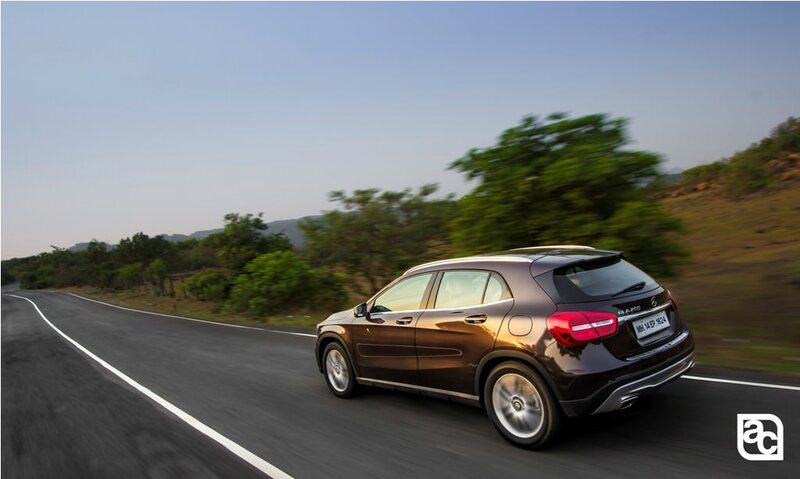 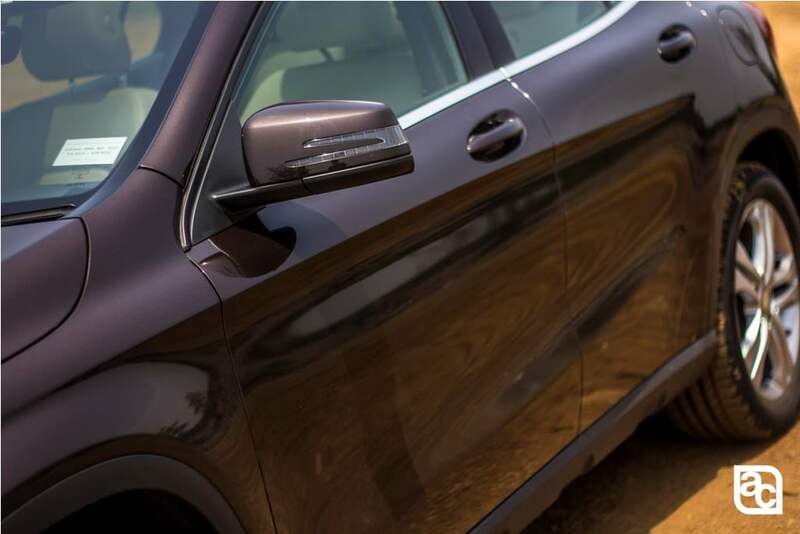 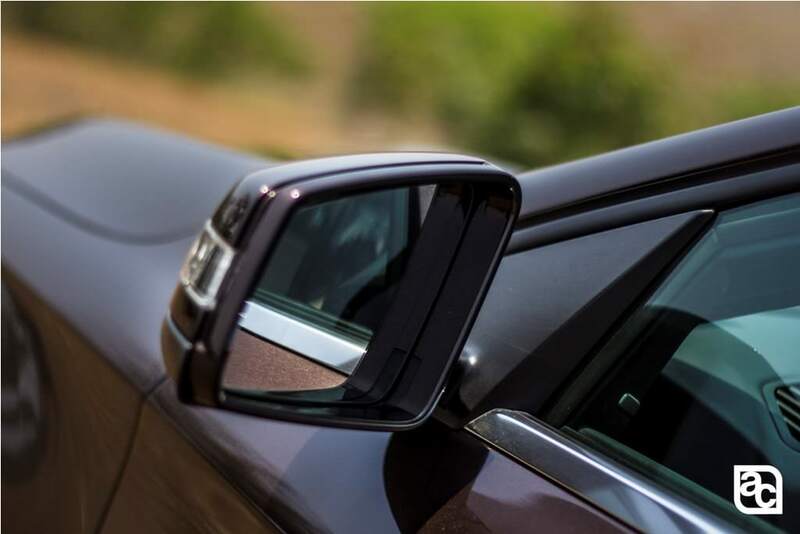 The brushed aluminium also gives the premium feel of luxury compact crossover. 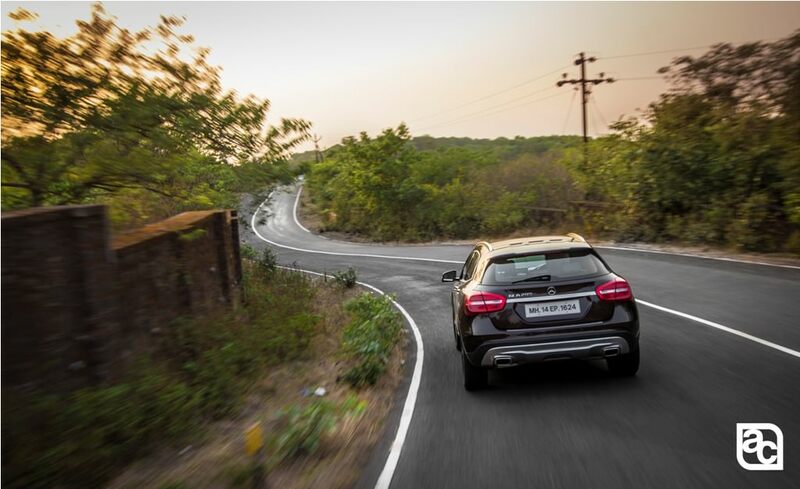 There is also a bix extra width of this car compared to A-Class and hence the muscular bulges on the rear profile near tail lamp makes an impression. 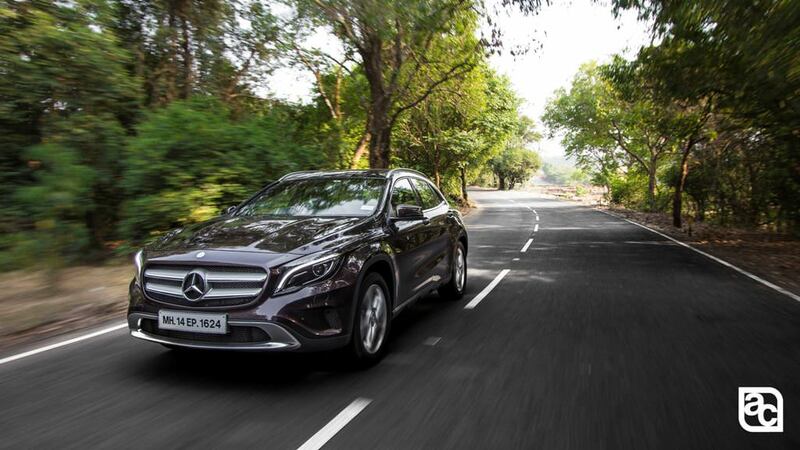 This is the place where you feel home in the GLA. 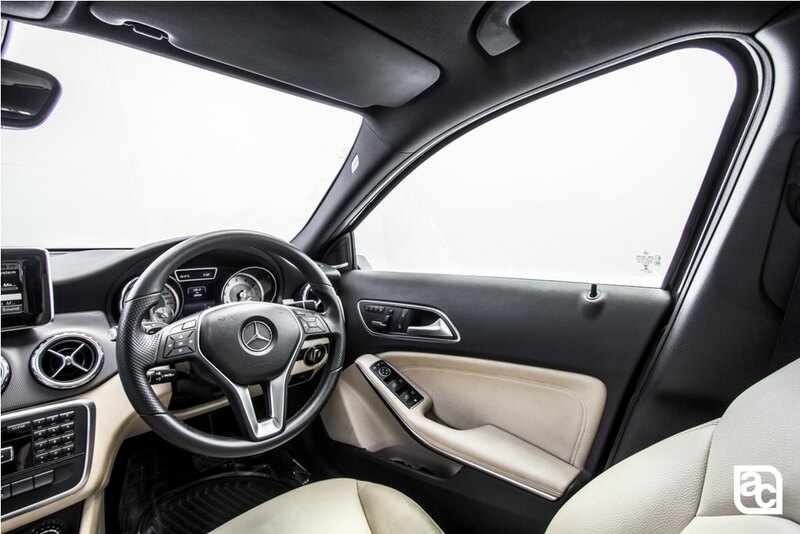 The interiors of GLA are pretty similar to A-Class as its based on the same platform of MFA architecture. 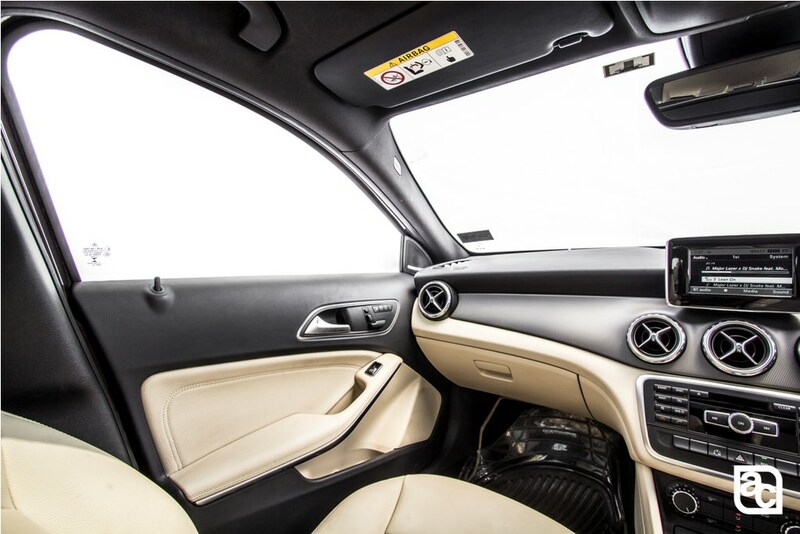 One can see lof of parts sharing between these MFA cars. 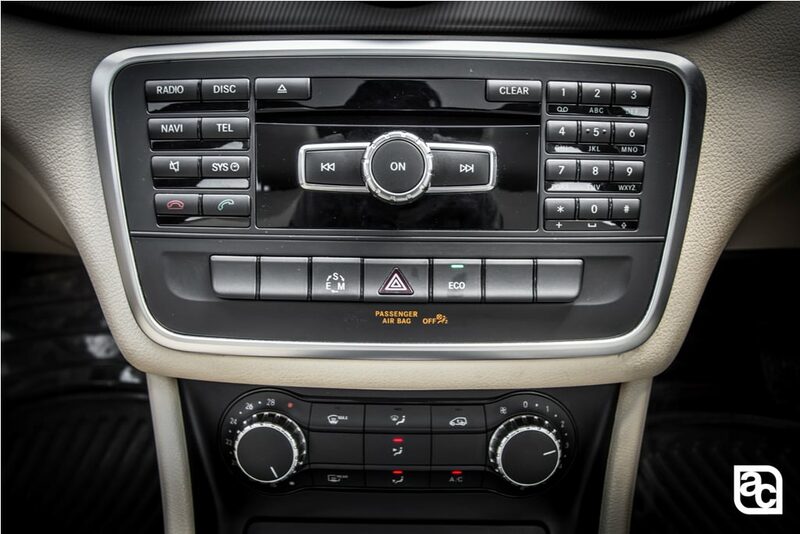 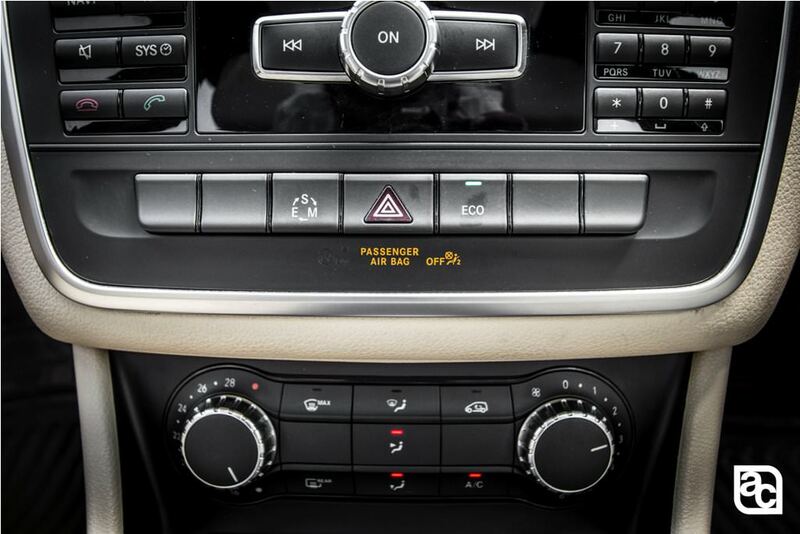 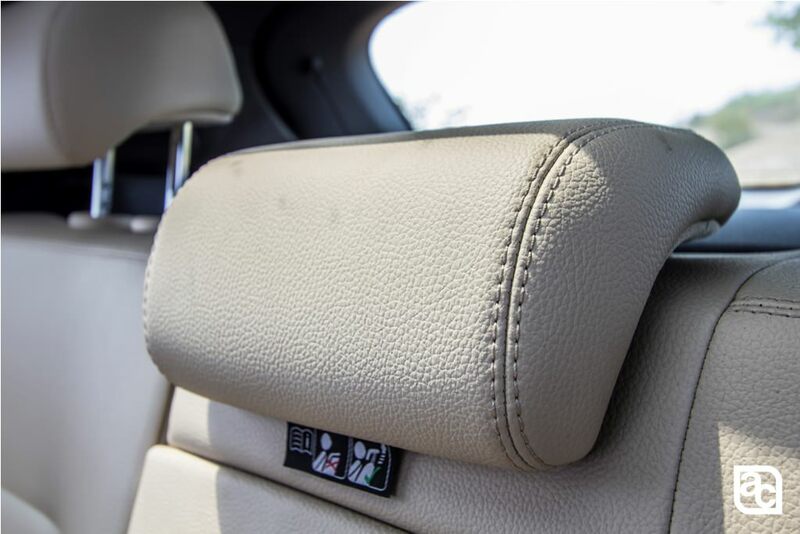 Black and beige colour combination of dash makes it look premium. 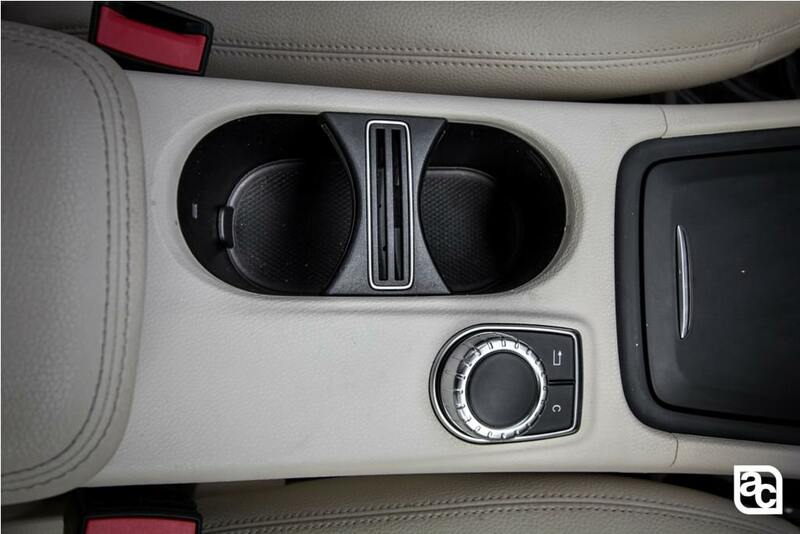 The front seats get typical adjustable 12 way seat with controls on door panels. 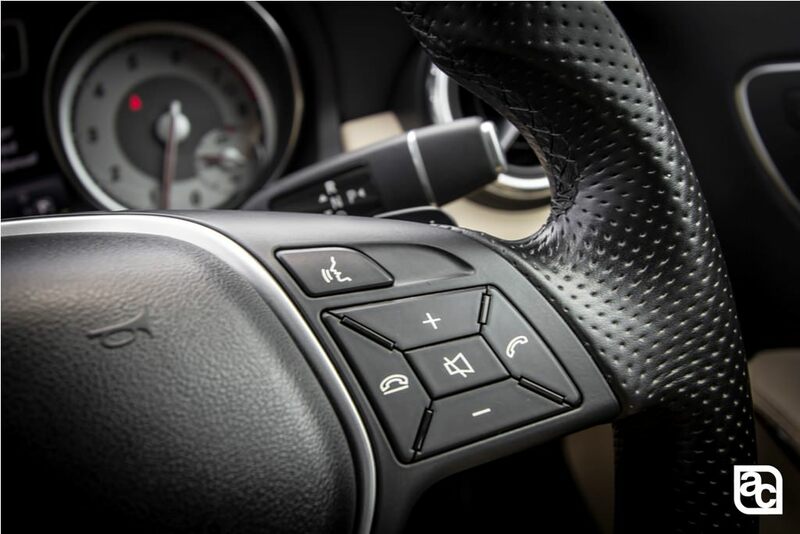 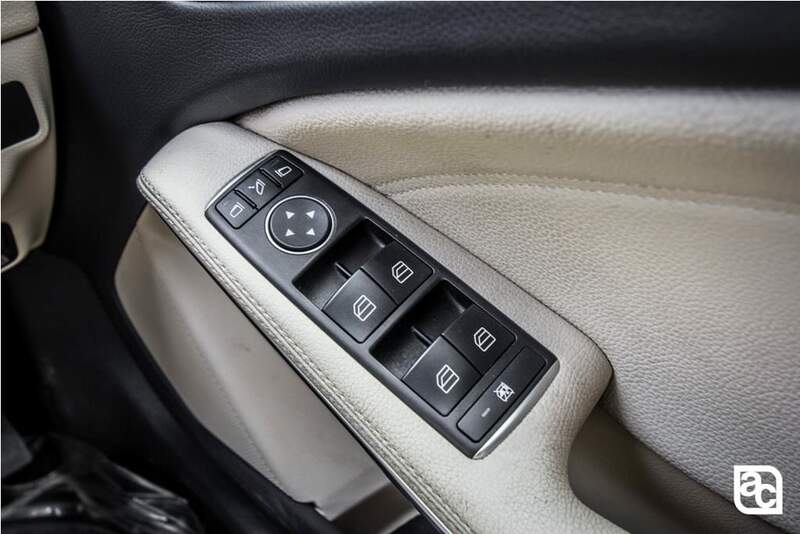 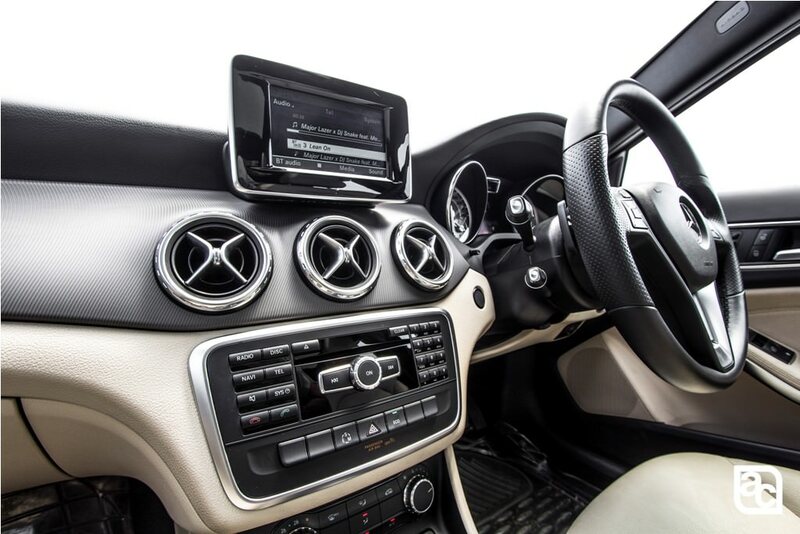 AC vents inspired from SLS AMG and command screen just like A and B-Class in middle of dashboard gives the GLA interiors a proper fit and finished look of qualified Mercedes for crossover. 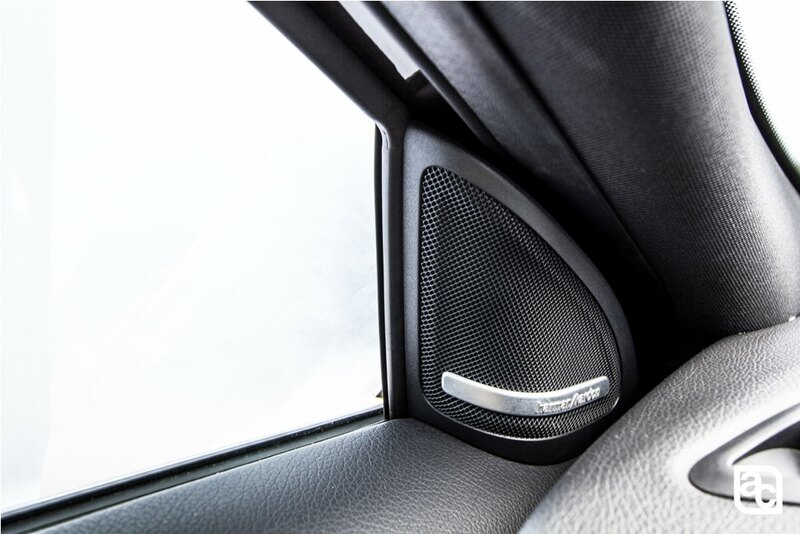 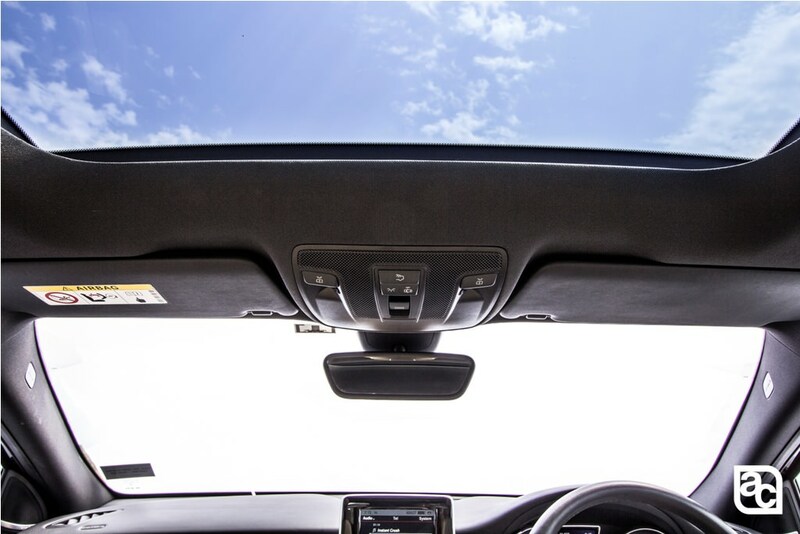 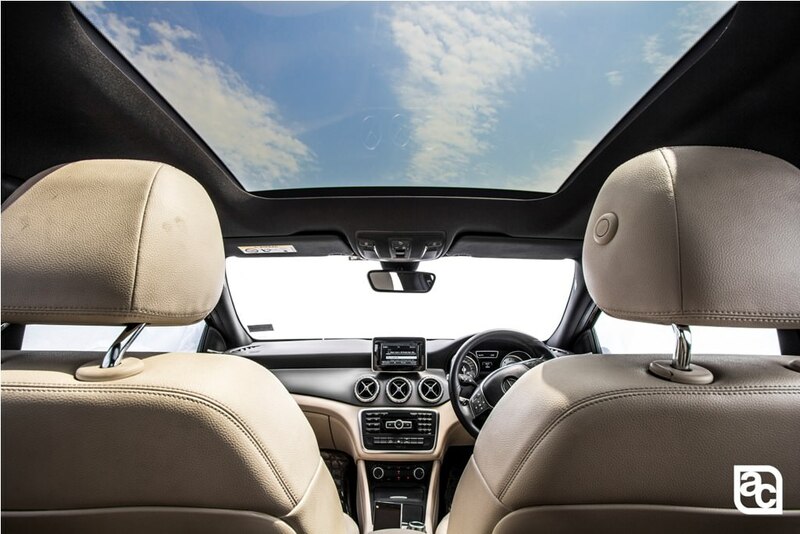 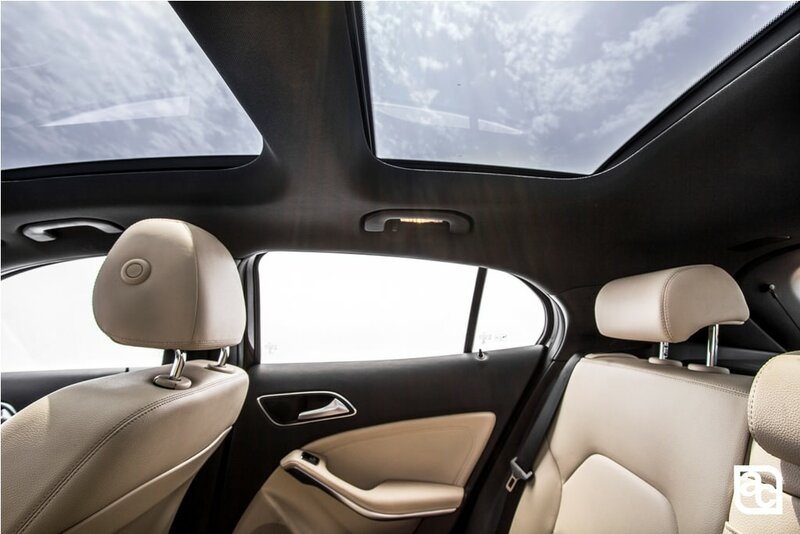 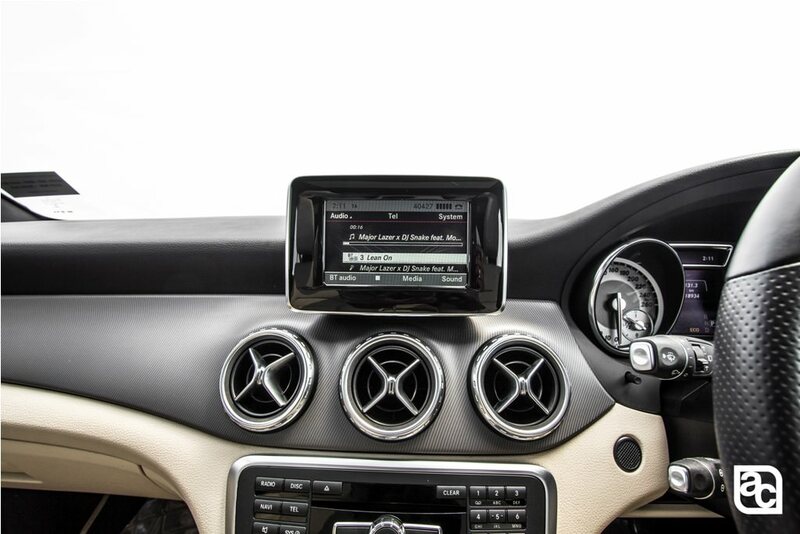 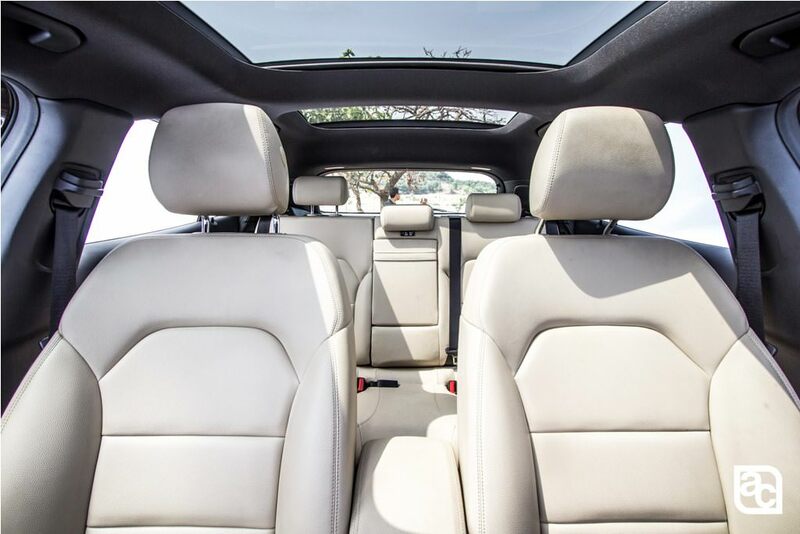 Harman Kardon audio system, huge panoramic sunroof adds another touch of luxury in GLA. 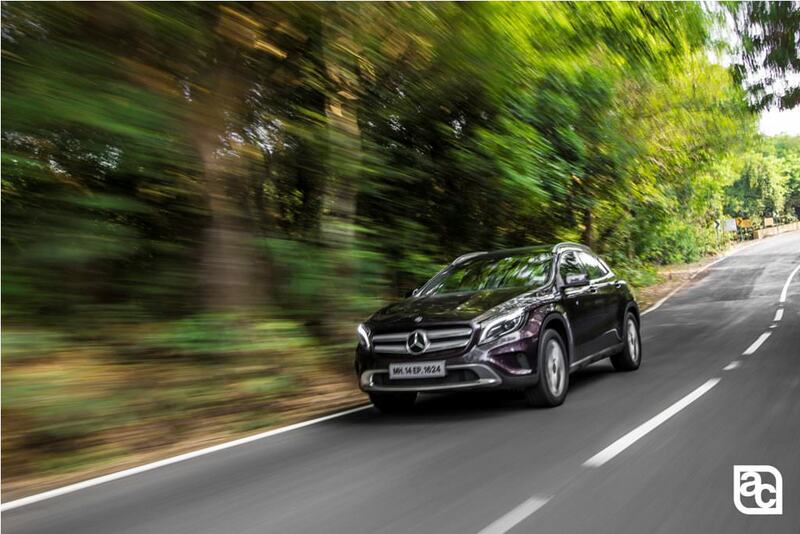 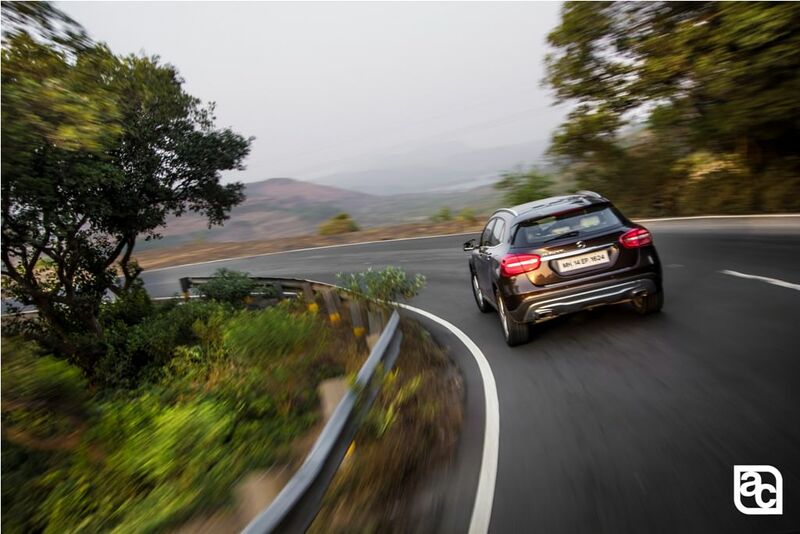 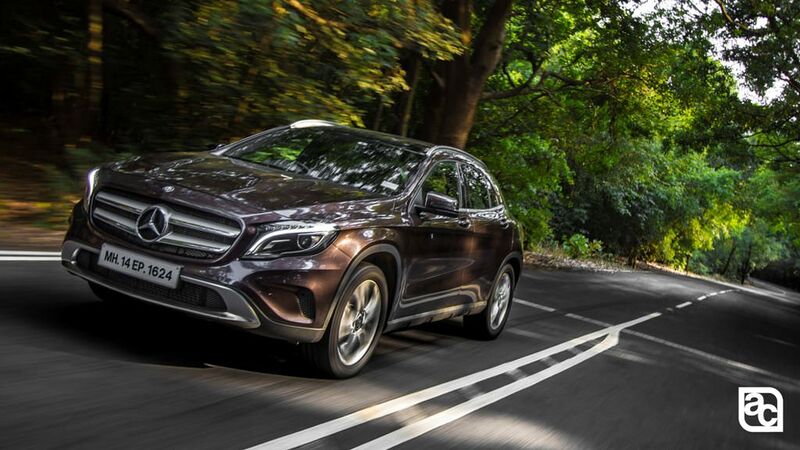 The GLA 200 CGI is powered by 1991cc turbo-charged petrol engine that squeezes 183 bhp and transferres to the front wheels of the crossover via 7 speed automatic transmission. 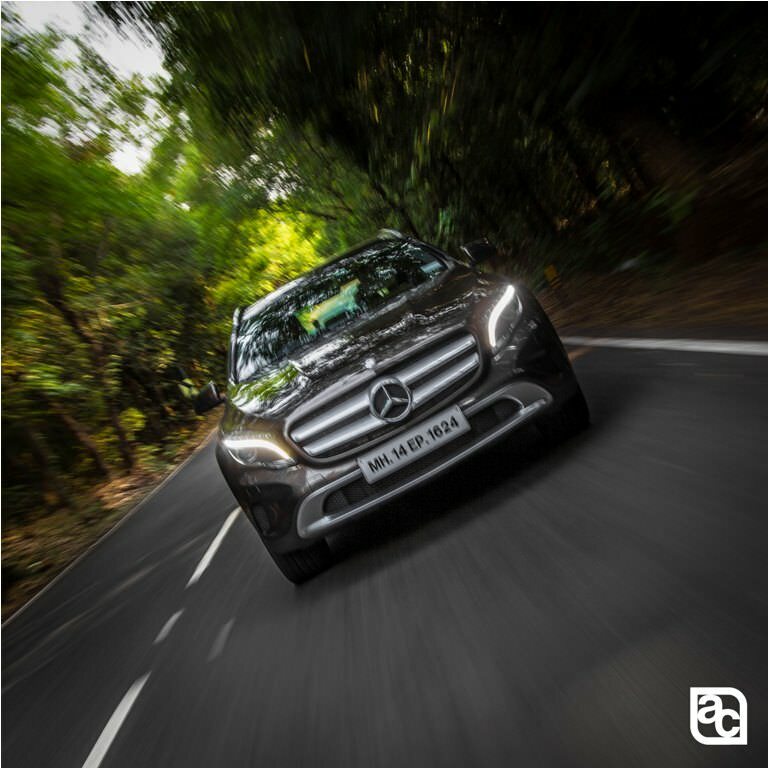 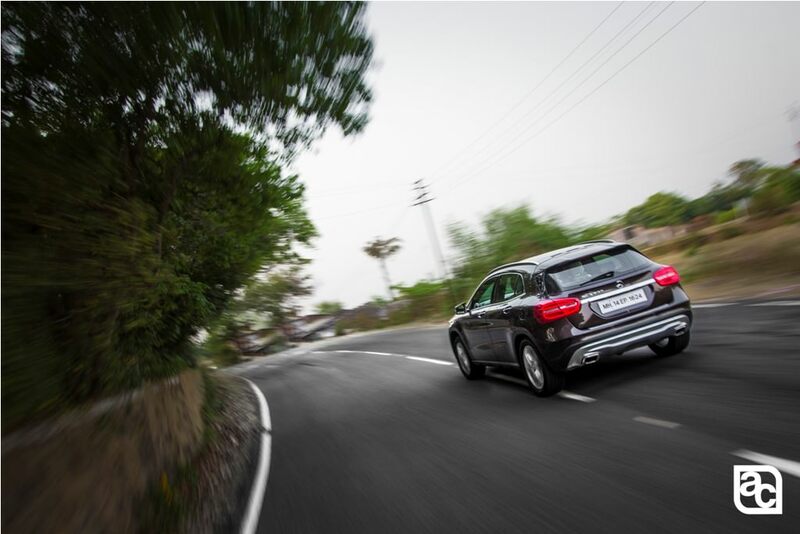 The engine produces massive 300Nm torque and even with this power and torque figures the car manages to give 13-14kmpl with all conditions from traffic to the highway. 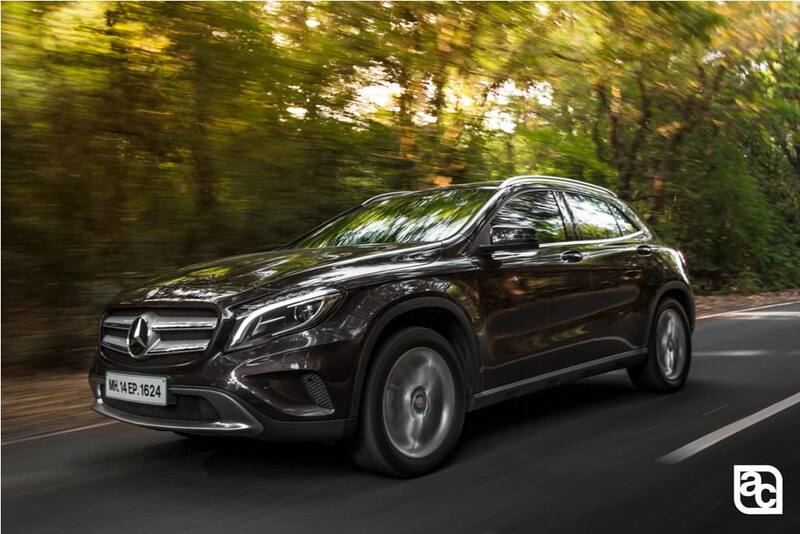 The strong mid range of this motor makes everyday driving quite effortless and perfectly suits the role of a crossover urban SUV. 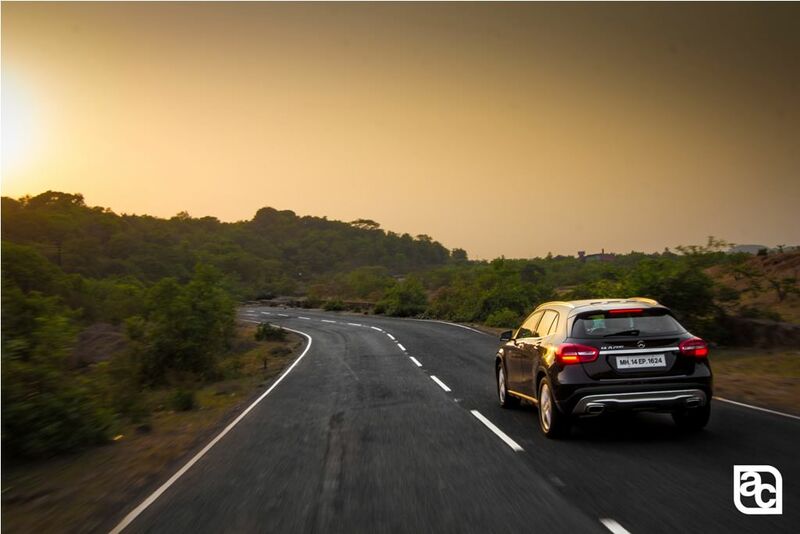 And it’s a nifty performer on the highway as well. 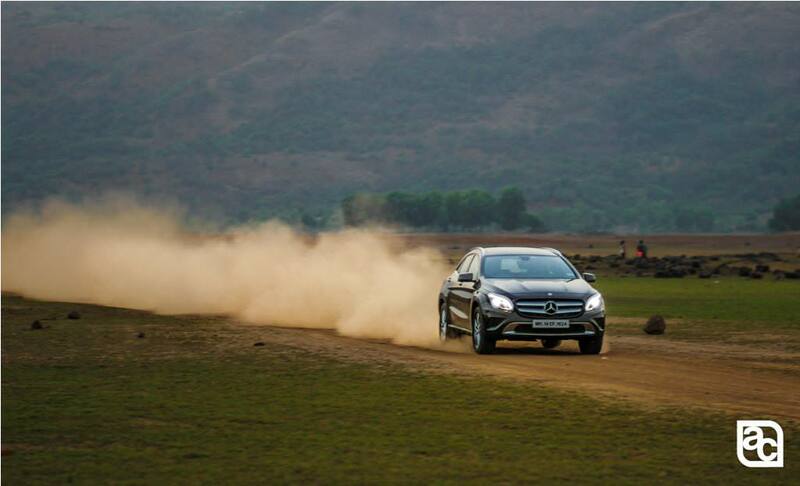 Overall suspension setup on this car is a bit on the soft side. 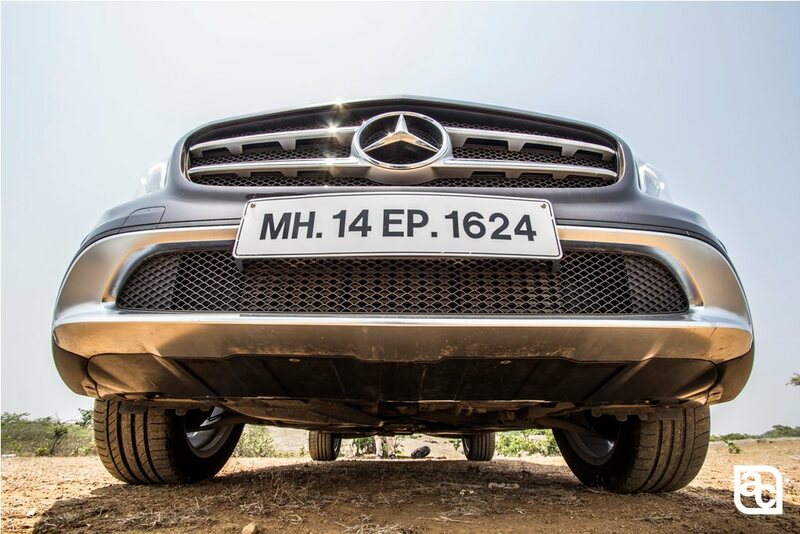 If you want to go pure off-roading this might not be the right car as it has only front wheel drive architecture, but it can surely take on soft roads of Indian urban and rural side. 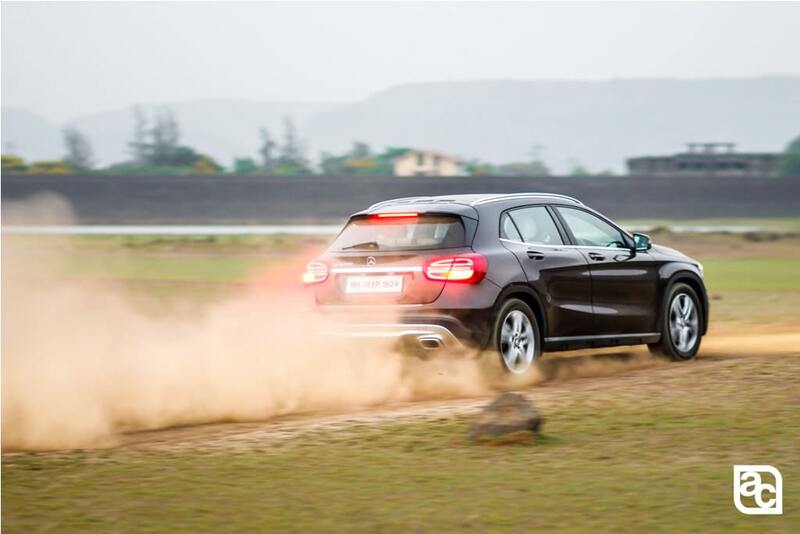 The soft suspension setup makes the GLA very comfortable compared to its immediate BMW rival X1. 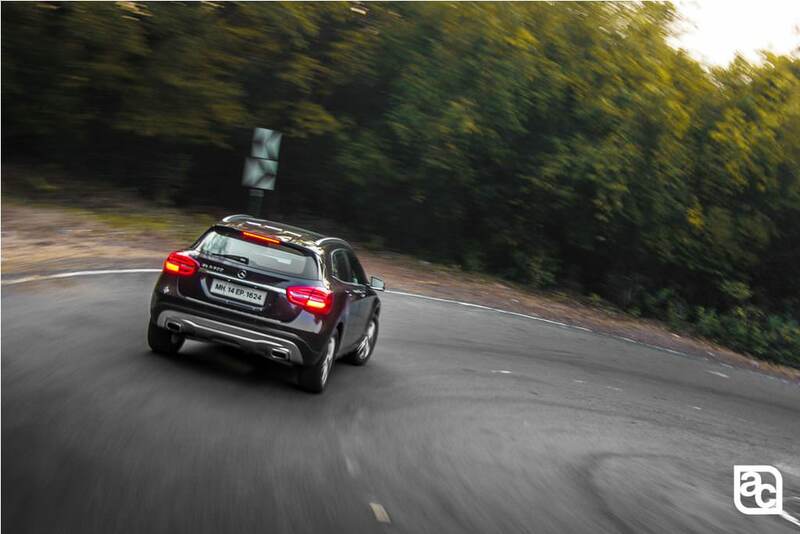 Though the suspension setup is on the soft side, GLA feels like a rally car on every apex you throttle in. 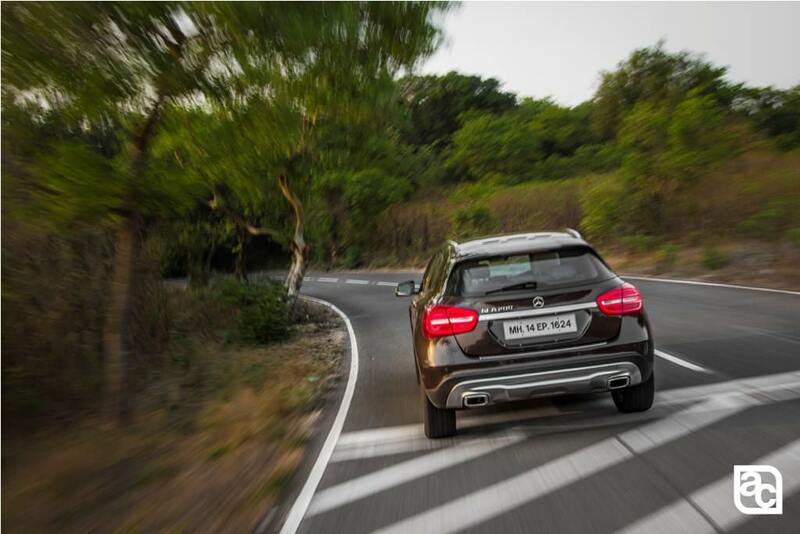 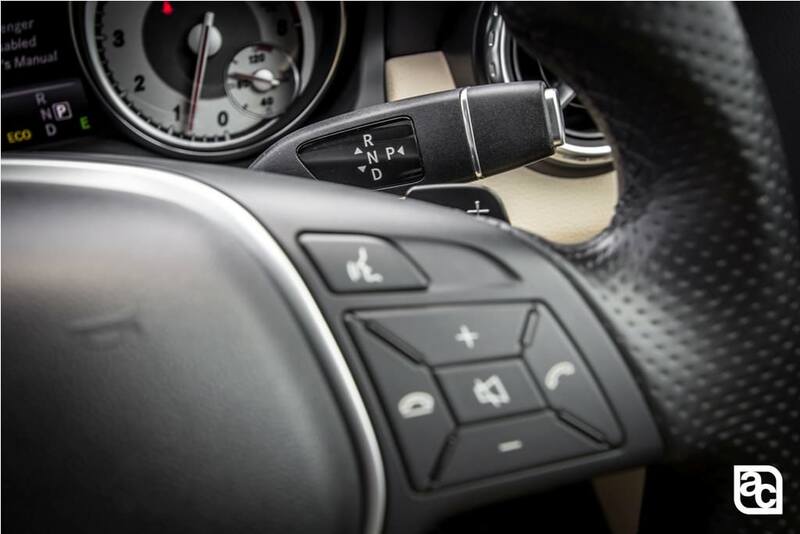 Mercedes-Benz achieved that sweet spot of ride and handling and ride comfort in this crossover. 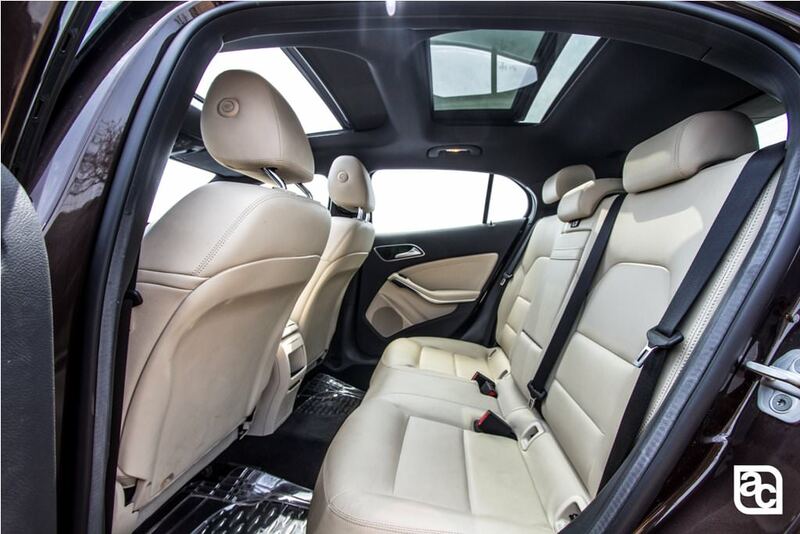 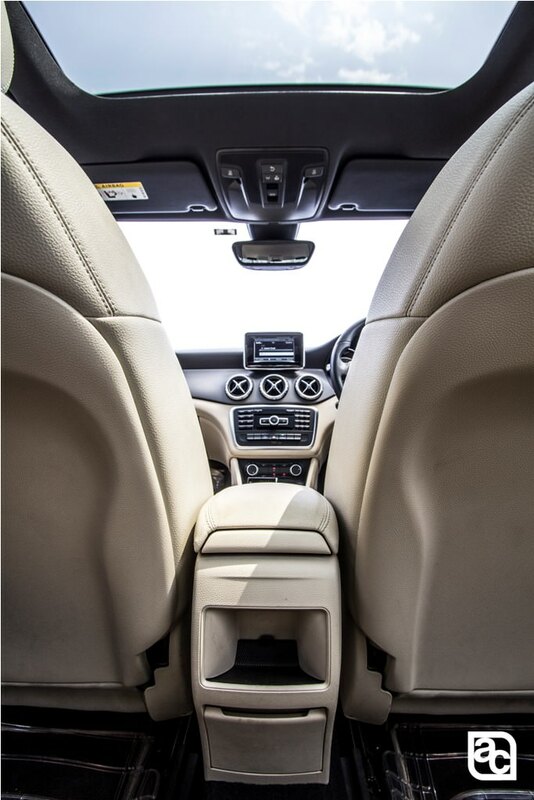 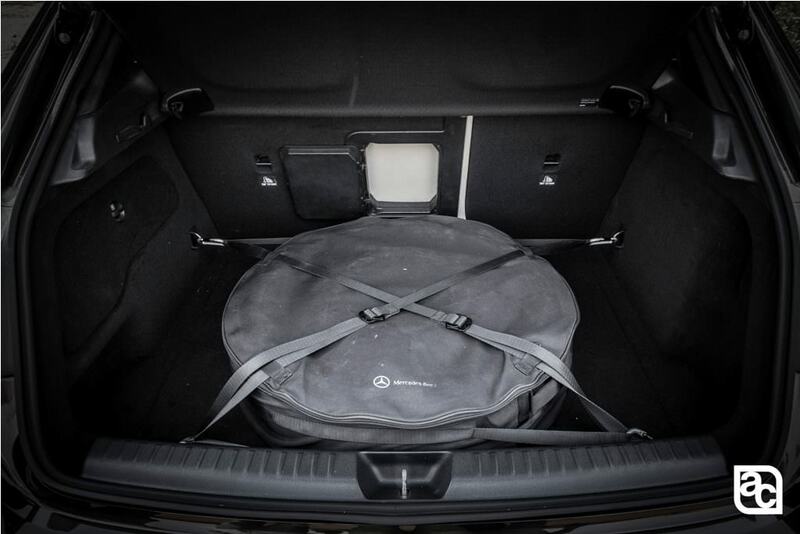 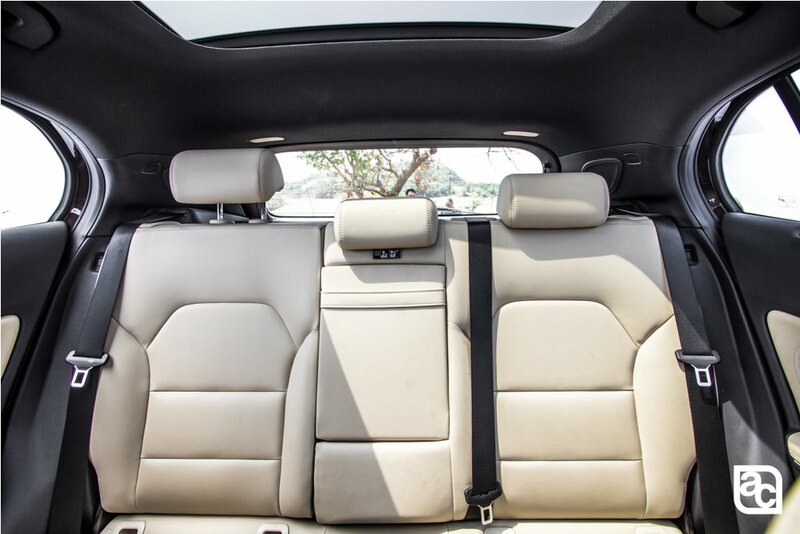 The independent rear suspension setup makes it really comfortable for rear passengers too, just like all other chauffeur driven Mercedes cars. 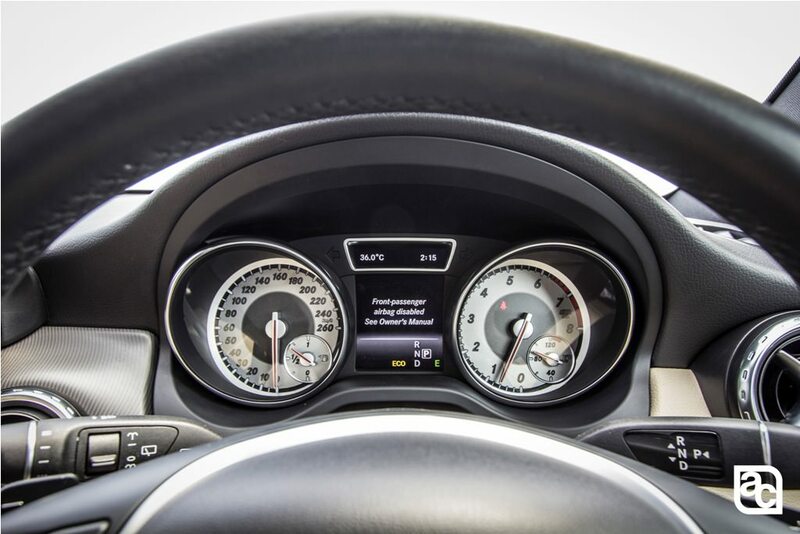 The steering might not be as crisp as you expect, but it gets heavy as you move close to 3 digit speeds. 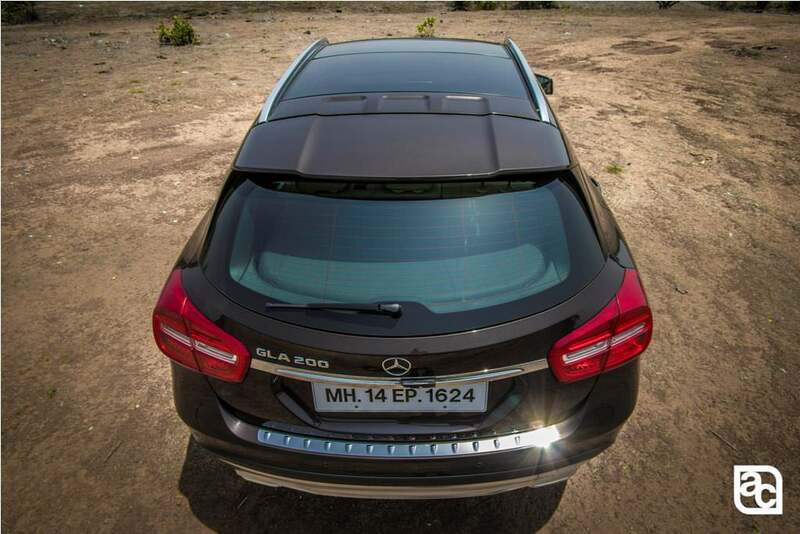 The car surely brings confidence in you as you need to spend quite a lot time to get feel of this crossover. 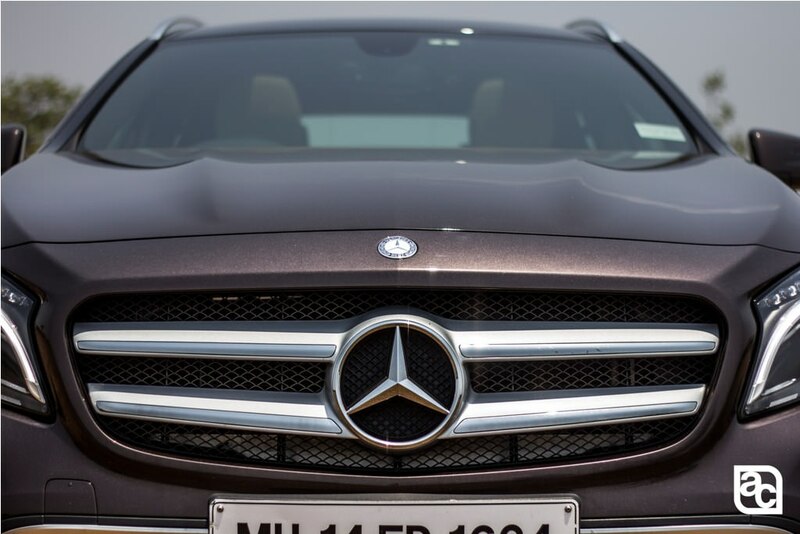 We all know that Mercedes-Benz SUVs are always big and bold looking, from ML Class to GL-Class and not at all available in India the GLK-Class. 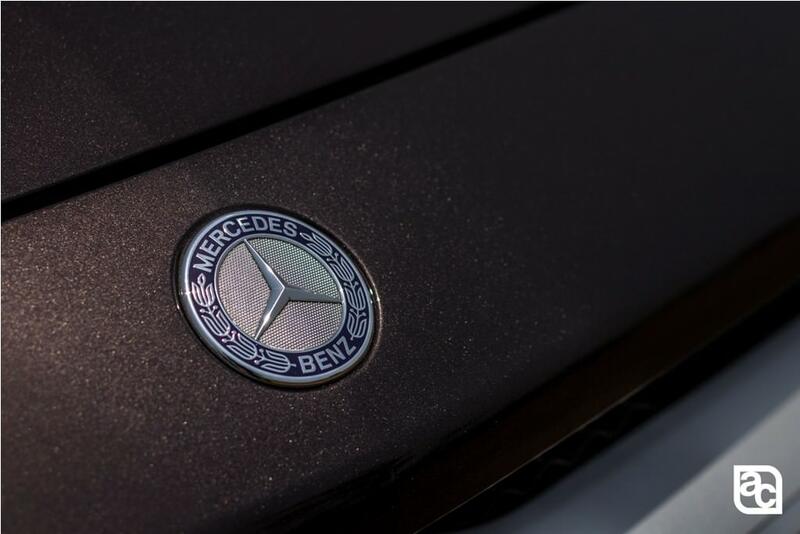 Mercedes-Benz brought one product that is so not the SUV and so not bold. 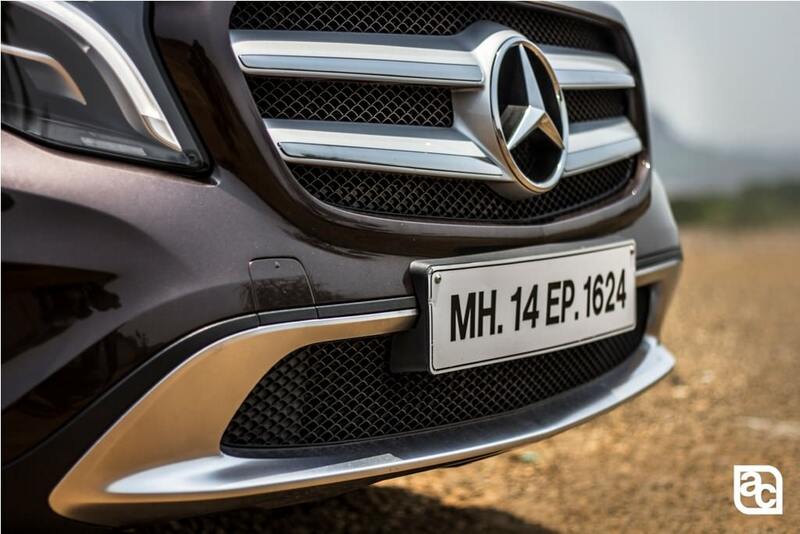 Its compact, its stylish and yes its a head turner with many points that are pitched higher against the competition.